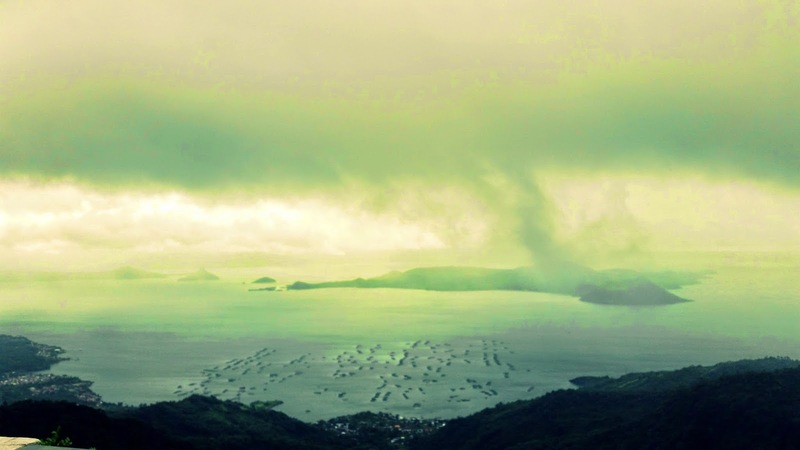 Another destination that I love visiting is Tagaytay city. With just a short two hour travel from Manila (or 3 hours by public transpo), you get to enjoy natural cool air, see Taal volcano (which is also a hiking destination), the lake around it and gorge on good food from the gazillion restaurants in the area. It's also a favorite stop of mine for food & coffee after hiking Mt. Batulao in Nasugbu, Batangas, which is just a few minutes away. However, this place has this stigma of being hard on the frugal traveler wanting to spend a night here, with most hotels charging at least 2,000 Pesos/night (roughly 45 USD). It may not be that much for a high earner but if you're traveling solo or got a minimal budget, it would take a toll on your pocket. Fortunately, Our Melting Pot Hostel (OMP) (which also has a branch near Makati Avenue) has made its way to the highlands. Catering to backpackers and budget travelers, this hostel offers comfortable, secure and most importantly - reasonably priced place to rest. It is located in an uneventful neighborhood, a few blocks off the Tagaytay-Nasugbu Highway, near Cool Breeze Hotel. You can actually walk to the main highway. I love that it's strategically located close to the main road, yet far enough that you won't hear vehicle noises. Braving the rainy weather from Manila, I did a spur of the moment trip with blogger friends Shawn, Dong Ho and Miss Litratista, Chamee. Leaving Makati at around 12 midnight, we arrived at OMP after two hours (with one stopover and Dom's careful driving). Unlike most hostels, there is no front desk. It's like we're walking into a relative's home. We were asked to take off our footwear which I didn't mind because the floor seemed clean. We were warmly welcomed by one of the owners despite us arriving close to the witching hour :P.
I wasn't fully comprehending what was going on around me as I was feeling groggy from fatigue as I just came from a hike earlier that day, but I remember feeling instantly at home as we were given a quick short tour on where the bathrooms and other facilities are. We were also told that there were a handful of guests, one group was out and a couple was already sleeping soundly in a room near the kitchen. Toilet & Bath was just a couple of steps away from our room. We were provided towels too which was great because I only had soiled clothes from the hike. I even had to borrow a shirt from my friend Shawn! *When staying here, it's advisable to bring your own toiletries as individually packed soap and shampoo won't be provided. There's some liquid soap and shampoo in the bathroom but it's for everyone's use. An overnight stay ranges from 970 Pesos-1,350 Pesos for the private rooms (just 485 Pesos/head if you share a room with someone! ), while it's just 470 Pesos/head for a 6 bed mixed dorm room. It comes with free breakfast which consists of banana, bread, peanut butter, jams, one egg, and coffee, tea or juice; If you need more food, you can walk or drive to Starbucks or Yellow Cab Pizza along Tagaytay-Nasugbu Highway. We enjoyed a quiet chatter over breakfast and trying on the various spreads (My fave was combining peanut butter and guava jelly on my sandwich). After a few minutes, some guests came out of their rooms and we gave way for their turn at the dining table. There's a big gazebo at the side of the house. This would be a nice place for a quiet time early in the morning. With its good location, basic amenities, comfortable beds and a homey atmosphere, OMP is certainly a great option when looking for a cheap place to stay when visiting Tagaytay.